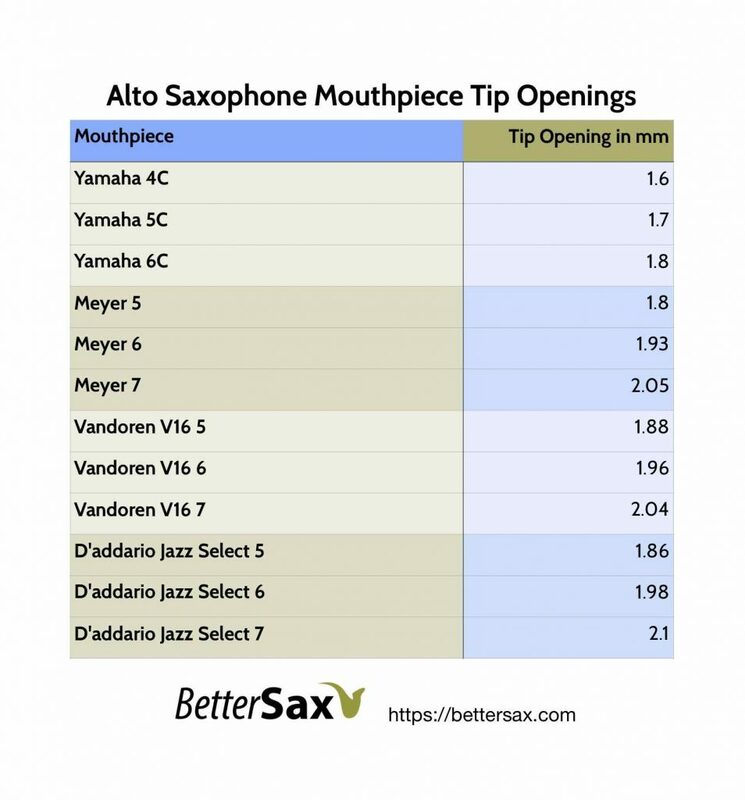 Students are always asking me “What mouthpiece should I buy?” So here are my top recommendations for the best alto sax mouthpieces with a budget of under $150. Below is my list of best alto sax mouthpieces under $150. The links are all for purchasing on Amazon.com which is where I buy a lot of my music gear (and everything else). Their prices are competitive (if not the cheapest) and if you’ve got an Amazon Prime account you can get all of these mouthpieces with free shipping and no-hassle returns. If you have a local music store go there to buy this stuff. Unfortunately, these days music stores are few and far between and often don’t carry a large stock of saxophone gear. Put a mouthpiece patch on before you play a single note. Swab out the mouthpiece when you’re done playing. Don’t wash a hard rubber mouthpiece in warm water. It will discolor it. My favorite mouthpiece patches are Vandoren .03″. They last a long time and come in a package of 6 for around $9. My favorite alto saxophone mouthpiece swab is made by BG. This also fits the neck and it is absolutely essential that you swab out your mouthpiece and neck after every playing session. This swab together with the BG alto saxophone body swab are the best investments you can make in the maintenance of your saxophone. I’ve had both of these for years and although they seem expensive they are well worth it. I’ve yet to wear one out and I swab my horns a lot! Check out my blog post about basic saxophone maintenance here. Each of the following mouthpieces uses a number system to indicate the tip opening of each different model. These numbers are not entirely consistent from one brand to the next as shown in the chart below. 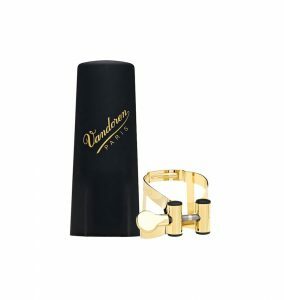 The Vandoren V16 mouthpieces, come in 2 different chamber sizes Small and Medium. The size of the chamber affects how fast the air moves through the mouthpiece. A smaller chamber gives a more powerful and brighter sound while a medium chamber gives a more mellow and rounded sound (generally speaking). When switching between mouthpieces for comparison purposes be sure that you’ve got a good new reed that works on both mouthpieces and that you’re setting it up on the mouthpiece perfectly each time. When you buy a new saxophone it usually comes with a mouthpiece. Problem is today, with many instruments being made in Taiwan and China the mouthpiece they give you is pretty much always terrible and I tell my beginner students to replace that one right away. If you buy a Yamaha sax they will include one of their stock mouthpieces called the 4C. This is what I recommend to all beginners who need a solid mouthpiece to develop their sound early on. 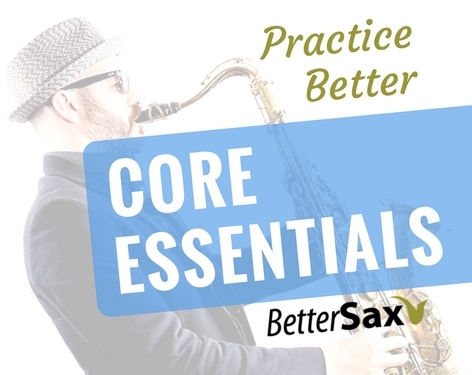 The Yamaha 4C and 5C are designed to be easy to play using softer reeds while developing one’s embouchure strength. 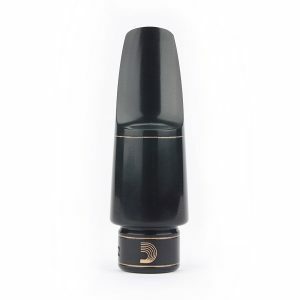 This is the ideal mouthpiece for beginners and can be played on for a long time before an upgrade is necessary. The Yamaha 4C and 5C are really well made, extremely consistent, and are a great value for about $25. For this demonstration, I ordered a Yamaha 5C from Amazon. The number refers to the tip opening. The higher the number the more open the mouthpiece. As your embouchure muscles strengthen, you can play harder reeds and more open mouthpieces. If you’re an adult beginner and plan on putting in regular practice sessions, you can go directly to the 5C version of this which is just slightly more open than the 4C. I recommend complete beginners start using a #2 or soft reed on this and gradually work their way up to a #3 or medium reeds. Rico makes excellent basic reeds that are affordable. There are many pros that use exclusively the Rico Orange box. Below are links to the various strengths. This is the mouthpiece I currently play on alto and I love it. 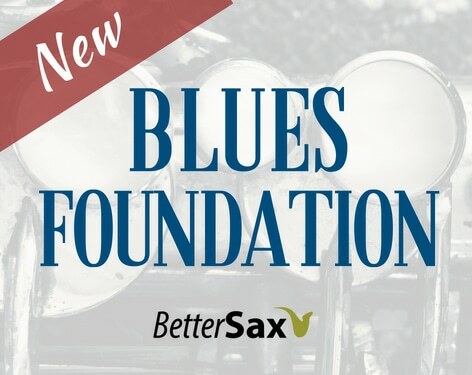 The price is a great value and it comes in a variety of tip openings and chamber sizes which means you can choose the model that best suits your playing style and desired sound. I’m playing on a the 6S model, but I own a some of the other models as well. Keep in mind that the number system isn’t consistent for the different brands. Refer to this chart. The Vandoren V16 6 is much more open than the Yamaha 6C for example. The S stands for small chamber. This gives a more powerful and brighter tone. If you want to play loud and be able to cut through when playing in a band, I recommend getting the S+ model. If you want a more mellow tone, get the medium chamber version M.
Again the right tip opening for you depends on the amount of air you put through the horn, the strength of your embouchure and the strength of the reeds you use. I recommend going with a 5 or 6 here if you’re unsure. When your sound is advanced enough to play a more open mouthpiece, you will know which is best for you. I feel most comfortable on the 6 so I play that one with a 3 or 3.5 strength Vandoren Java Reed. 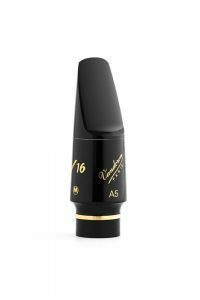 The Vandoren V16 alto mouthpiece is great for intermediate, advanced and professional players. You’re going to need a ligature and cap for this one. I’m using the Vandoren optimum ligature which I highly recommend. It’s on Amazon for $71 which is a great price. 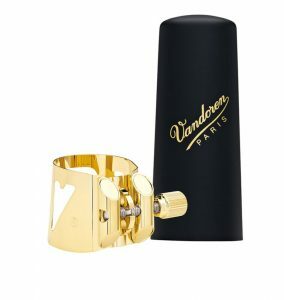 Another solid option is the Vandoren Master’s ligature which starts at about $40. Both of these come standard with a plastic mouthpiece cap and will fit perfectly all of the mouthpieces mentioned in this post. Next up is the Meyer alto sax mouthpiece. This is the mouthpiece I got when I was about 12 years old and started getting more serious about playing saxophone. I took this one out and played it for the first time in years, and I was a bit surprised at how great it sounds. I’m thinking of getting this one modified to a 6 tip opening which will hopefully make it suit my needs better. It’s easy to play and has a smooth sound but there is just the right amount of edge in it for me. Right now on Amazon this sells for $111 and that includes a mouthpiece cap and standard ligature. This is a medium chamber mouthpiece which can be used in many playing situations. It’s not too bright, and not too dark. This is a another medium chambered mouthpiece. It’s a relatively new to the scene but seems to be modeled on the vintage hand made Meyer mouthpieces that sell for several hundred dollars these days. In any case it sounds and feels very much like my Meyer. This one sells for $149 on Amazon but does not include a ligature or cap. It appears a bit easier to get your hands on this in the different tip openings, and I expect these pieces are a bit more consistent from one to the next than the Meyers are. The one I’m play testing on is built with precision. Unlike the Vandoren V16, the D’addario Jazz Select is only available in a medium chamber. With the exception of the Yamaha 5C all of these mouthpieces are perfectly at home in the saxophone cases of professional sax players everywhere. Don’t let the price fool you. These are quality mouthpieces that can sound incredible in the hands of a good player. It’s very important to remember that the most important factor in your sound is you! Your sound is a culmination of the time you spend working on it and your personal concept of what you want to sound like. If you don’t yet know what kind of sound you want, I recommend listening to as many sax players as you can so you can find out what sort of sound you want to strive for. When listening to the clips of me playing all these mouthpieces, you may notice that I sound pretty much the same on all of them. That’s because my sound comes mostly from me. The work I’ve put into it and the sound concept I have in my head that I’m trying to produce. Do I Need More than 1 Mouthpiece? Anyone of these 3 pro pieces could easily be the last mouthpiece you ever need to buy. While you don’t need to own several mouthpieces, having a few to compare can be beneficial. Some players stick with the same mouthpiece forever. I enjoy changing my mouthpieces regularly (every 6 months to a year). I find playing slightly different mouthpieces helps me understand the mechanics of saxophone sound production better and ultimately improves my sound over time. It’s also fun trying new gear and is another excuse to spend countless hours playing the saxophone and listening critically to the sounds you are making on it. I think the ability to get a good sound on several different mouthpieces gives the sax player greater flexibility. This helps in lots of situations, like when you are stuck with a bad reed, or playing in a room with poor acoustics. What About Purchasing a Used Mouthpiece? All of these can also be found on eBay or other sites selling used saxophone gear, if you’re looking to save some money. Just be careful to closely examine the condition of any used mouthpiece you buy. Don’t buy a mouthpiece with any damage to the rails tip or table. Check the bite plate to see if the previous owner used a mouthpiece patch. If they didn’t there are going to be teeth marks and sometimes a divot where their teeth dug into the rubber. You can always just put your own mouthpiece patch over the top of this though. Things to keep in mind when you upgrade your mouthpiece. Mouthpieces are expensive and fragile. You should take good care of them and be careful to not ever drop your mouthpieces. Clean your mouthpiece out with a swab after every playing session. Pass the swab through the interior of the mouthpiece and also wipe off the exterior of your mouthpiece every time. Mouthpieces hold their value pretty well when you take good care of them. Avoid scratching your mouthpiece and definitely avoid any chips dance or other obvious damage. I’d love to hear from you in the comments section below. Let me know what mouthpiece and reed combinations are working for you. what about tenor mpc’s? Does the same performance apply regardless of the brand? Hugh, I’m planning on doing the same for tenor mouthpieces next. All of the brands mentioned also make tenor mouthpieces, and they are of equal quality. I like the Vandoren V16 tenor mouthpieces very much as well as the D’addario Select Jazz for tenor. years ago i played a Meyer mouthpiece on alto thru out my us army band years but i lost it .. after that i inherited a RUNYON WHITE MOUTHPIECE which i found more brilliant than any other mouthpiece especially my Yam # 5 . Great, really useful reviews. Looking forward to your tenor review, as it’s time for me to move on from the Y4C. Thanks, the tenor video is getting published today! Jay, your alto mouthpieces review has given me something to think about – a really good thing. I currently use a yamaha 4C, vandoren patch, ligature that came with the sax, and a Rico 2.5 reed. Good, I’m glad. let me know which mouthpiece you upgrade to. This is probably the most logical and sensible information on testing mouthpieces that I have seen. My only comment would be that the possible need to adjust reed strength as tip opening changes could be emphasized a little more. Hi I am using a Meyer 9M Alto saxophone mouthpiece. I also have a Selmer Soloist E mouthpiece. I find the Meyer is louder. I am playing in a big brass band. Can you suggest a more louder mouthpiece which can stand out with ease playing. I have a Russian made saxophone and using Rico plasticover reeds #3. Thankyou. If you want to cut through more, get a mouthpiece with a smaller chamber. The Vandoren V16 come with a small chamber and can play very loudly. I used that as lead alto in a big band. Hey Jay… really like your videos and demos. I’ve been playing for a while now but still find your lessons to be very helpful. 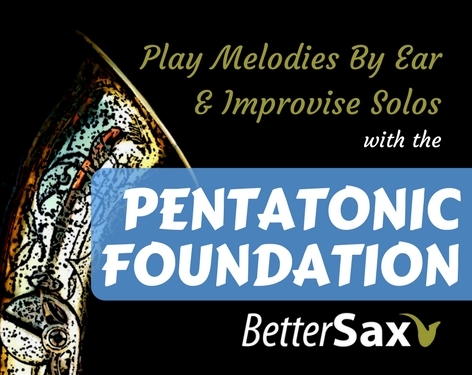 I’m working with the pentatonic scale lessons and love it! I am playing on a Selmer LaVoix alto. It’s a good horn, a bit heavy, but it has the Selmer key structure and costs less than the Mark 6. But the sound is a bit more mellow, or rounder than I really want. I want a brighter sound overall. Question: I liked the sound you got from the Vandoren 6s. However, the 6s seems to be impossible to find. The A series is plentiful and I was wondering if you think this is a similar type as the S series. Thoughts? Also, do you think the smaller chamber is more suitable for jazz and rock style? It gets a brighter sound, correct? Thanks in advance, and for sharing all your expertise! I haven’t touched an alto since high school, more than 35 years ago. Lately, I got the bug to look into it again as I play rhythm guitar and sing while jamming with buddies. I just bought a “student” alto, a Nuova Brass Alto Sax (NAS-3GL). What I don’t know is upgrading to a different/better mouthpiece a plan to make, or just upgrade the whole instrument if and when I decide I have to “upgrade”? P.S. I took private lessons in high school and only lasted a month; I wasn’t getting what I wanted. The instructor had these books full of pages that looked like someone had swatted flies all over it … too many notes for me 😉 Years later, I can improvise a solo singing or humming, but can’t transfer it to an instrument. However, I like what I’m seeing about your method of teaching … it looks like you’re emphasizing the “love of music” approach and not the “love of sheet music” approach. 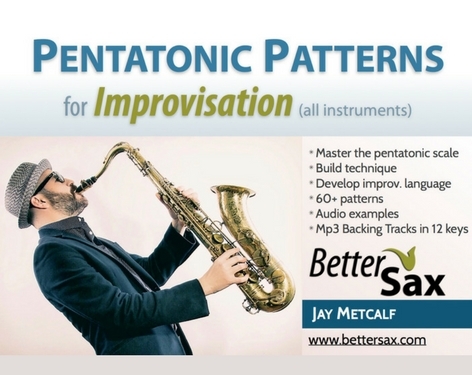 Once I get my fingerings back, I’ll be checking out the pentatonic course for starters.